This is one of three vehicles that have come from an extended private collection from a chateau in the northern France territory, this Citroen was hidden from the German over the second world war and has been sat on blocks since and engine cranked on a regular basis. 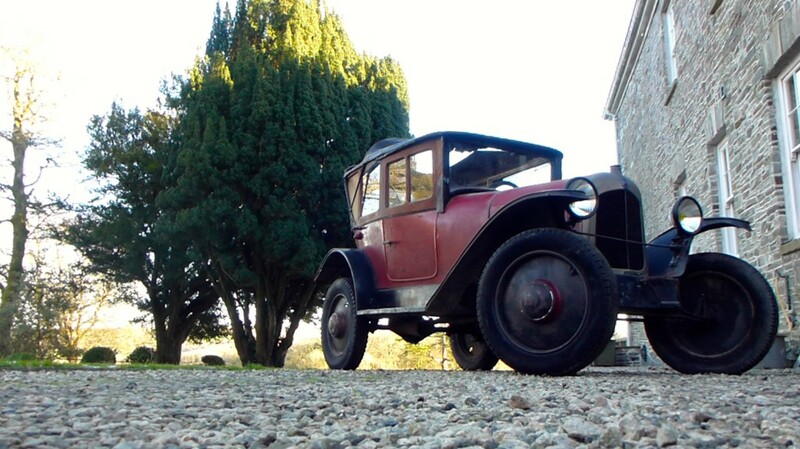 The substance of the vehicle is very authentic and extremely rare to find in such preserved condition, this Citroen has NO rust issues what so ever and the only substantial damage that should be replaced is the soft top, which is still the original one. The movable passenger-seat and the guide rails are intact. The steering wheel is in a perfect condition and so are all of the other instruments. I judge this vehicle as a very good basis for a light restoration or used as is with a superb patina! This citroen has been preserved stunningly over this period and the 74 years old dust will come with it . This is not as yet roadworthy, but very little must be done for road used, i.e fresh rubbers, service, battery and off you go! Please pm me or get in touch with Bespoke traders for any additional information.